ICO is rather specific format that is hard to find in most of image converters. 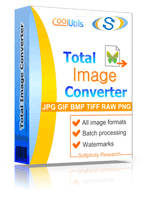 Total Image Converter supports it and helps to convert different images to this unique file type. You can convert EMF to ICO in batch and tune the graphic parameters automatically. Working with Total Image Converter frees you from the need in graphic editor. Inside this program you can setup specific icon size, transform source images, set colors and transparency. Being a batch image converter it applies one set of parameters for all images in batch. This time-saving approach brings ease and comfort, when you need to process a lot of EMF files. For icons it is essentially important to use transparency. A lot of OS versions support transparent or semi-transparent icons. 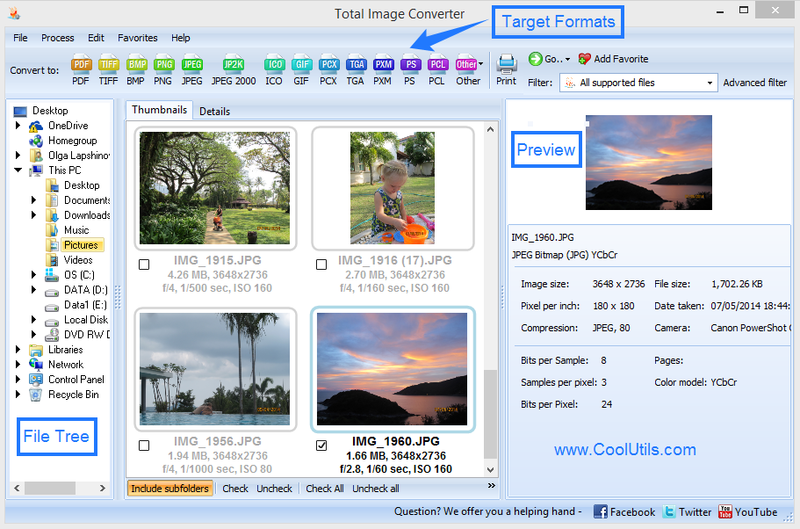 Total Image Converter allows adjusting this parameter too. You can use transparency from the source file, set specific color for transparency and background color for non-transparent variant. This EMF ICO Converter even provides watermarking! You can put watermark into ICO copies to preserve copyright or set some unique mark. For example, when you create icons for a group of software from specific manufacturer, you can put its logo on all icons automatically. Watermarks have adjustable transparency and position. 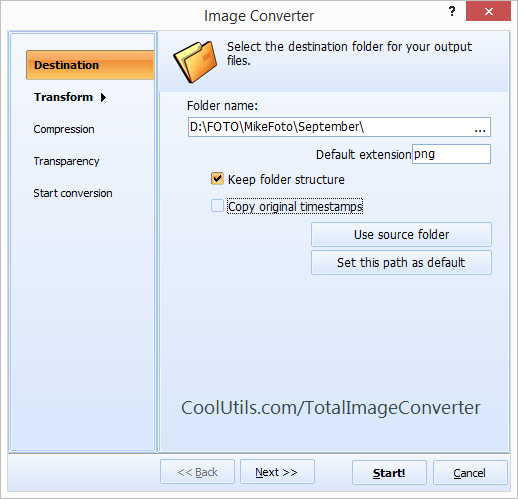 Total Image Converter works in a few different ways, including from the command line. Using 'cmd' interface, you can send conversion command to the program and get your converted ICO files back in a minute. Download the trial converter with all the features on board!